Island Conservation has worked to restore fifty-two islands over twenty years to protect hundreds of imperiled species. As global extinction rates accelerate, now is a critical time to double down on our efforts. 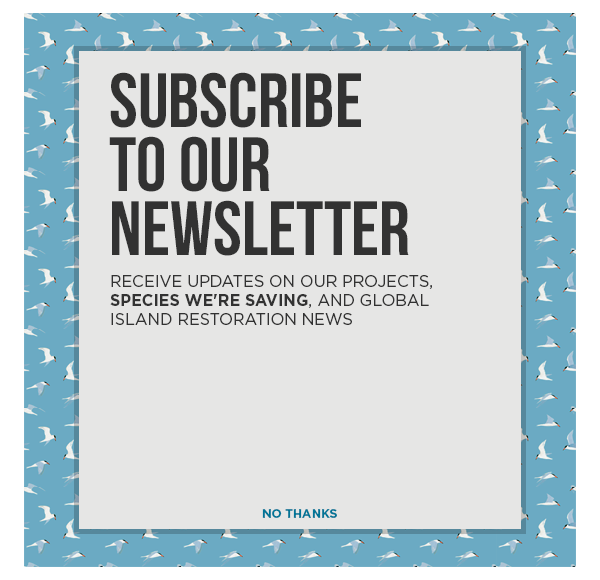 By clicking here or on the image below, you will find a prospectus for one of the most ambitious conservation initiatives ever conceived. It includes samples of the great work we can achieve together. In the face of global mass extinction, Island Conservation and our partners administer a proven cure. Removing invasive species from islands protects our world’s most vulnerable species and leads to dramatic recovery of islands’ natural systems. This prospectus and the actions identified within illustrate our hope for the future of our imperiled island species and communities. We hope you enjoy reading it and find yourself inspired to become a part of our exciting campaign to save species worldwide!